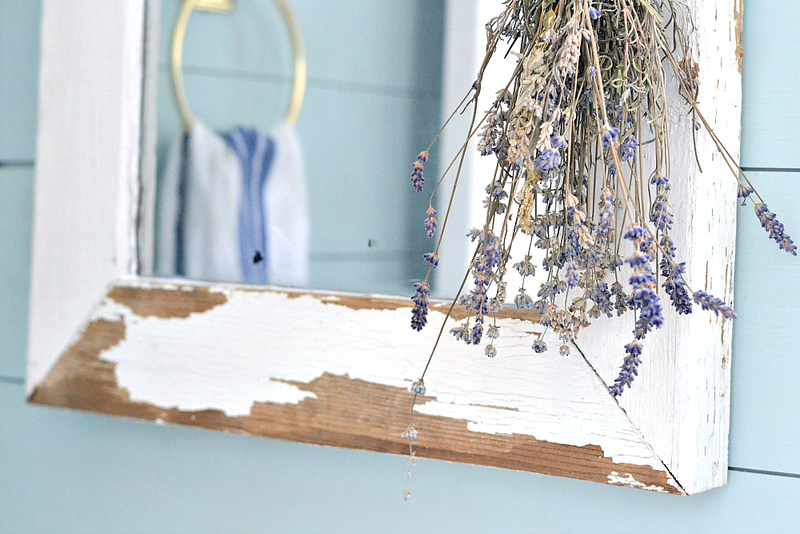 Since we bought our fixer upper, I’ve been slowly adding little farmhouse touches in my powder room. 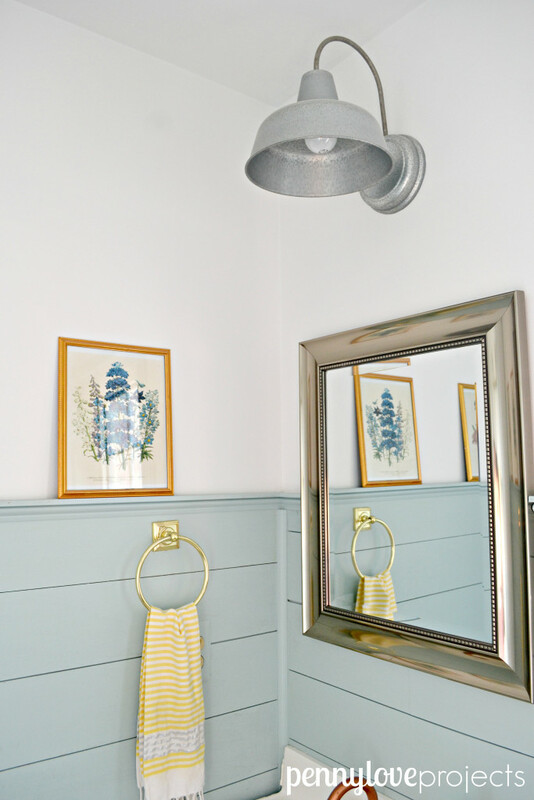 For our first round of updates we replaced the floor, added a new toilet, installed shiplap, replace all the trim, and gave it a fresh coat of paint. You can see that project here. Well, I’ve been thinking of replacing that mirror for a while now. It’s a perfectly fine mirror, it was one I already had so it was easy on the budget. But now I finally have a mirror that reflects more of the farmhouse style I was going for. This was a pretty simple project. It can be done in one afternoon. The window I used for this project did not have glass, so there are some steps in here that you can skip if you have the glass in your window intact. 2.) A piece of glass or a mirror. Clean the window. The first thing I always do with salvaged windows is give them a really good cleaning. This window sat in a barn for years, and was gross. 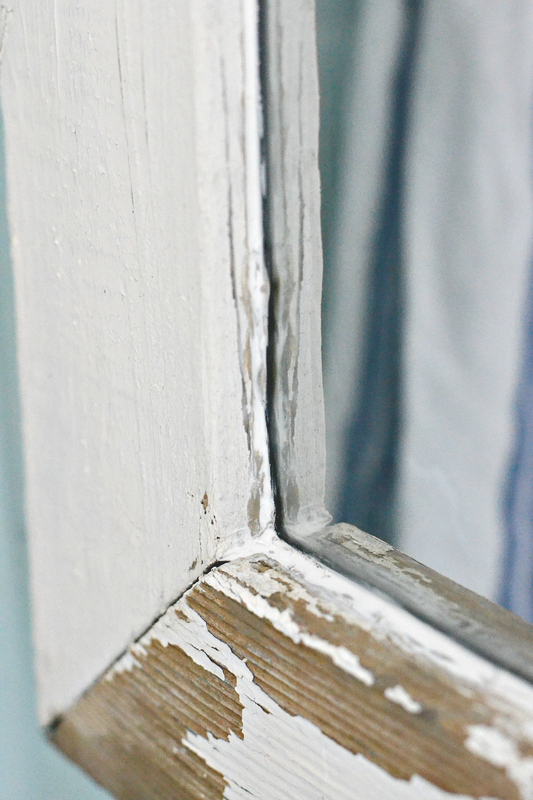 Click here to see my trick to cleaning salvaged windows. After the window was clean, I set it out to dry overnight. Clean your glass. My window didn’t come with glass, but I had a piece of glass in my basement, and it was a great fit, so I chose to use that instead of buying a mirror for the center. The glass needs to be completely clean and dry. Isopropyl alcohol is a great cleaner for this. Use the Mirror Effect Spray. This mirror spray is supposed to be used on the back side of a piece of glass, then when it’s flipped over you can see the glass looks like a mirror. You really have to be careful not to over spray. I did in some spots and you can see the drips in the mirror if you look closely. It took me about 5-6 coats to completely cover the back of the mirror. Protect the mirror spray with black spray paint. 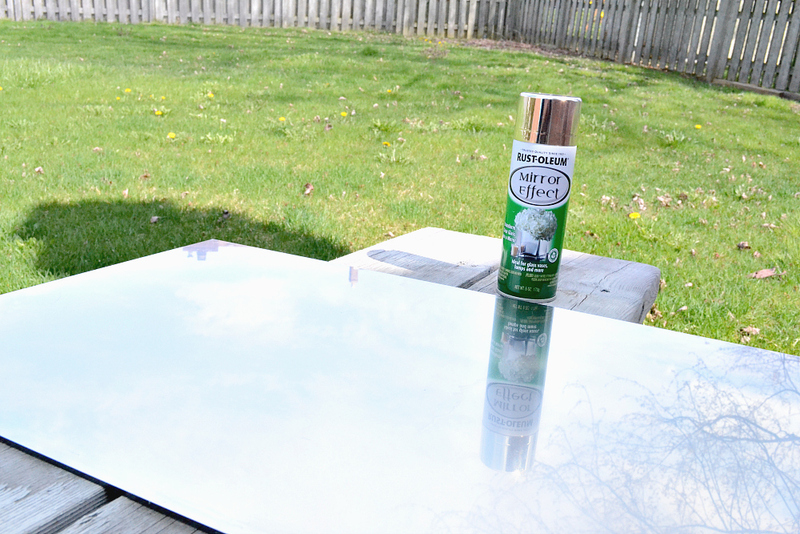 After your mirror spray is dry, go over it with black spray paint. This is what was suggested on the bottle. 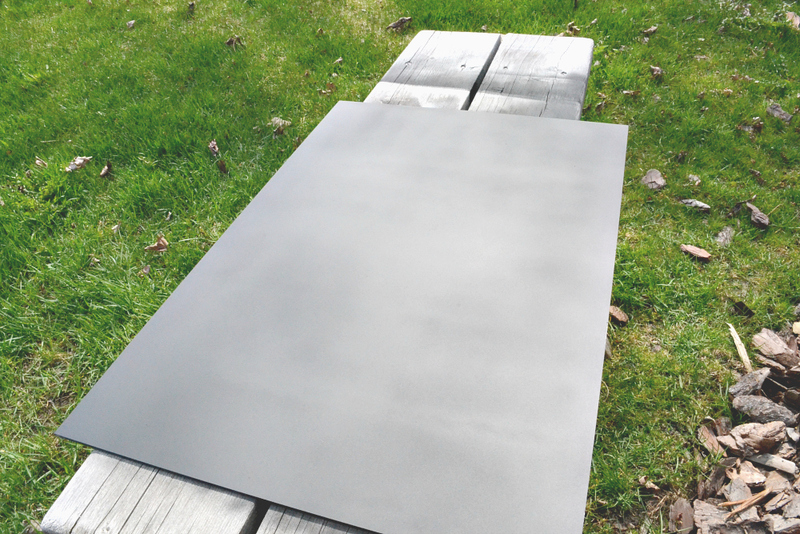 The mirror spray scratches super easily, so the black spray will help keep it from scratching and is also supposed to help with the reflectivity of the mirror. 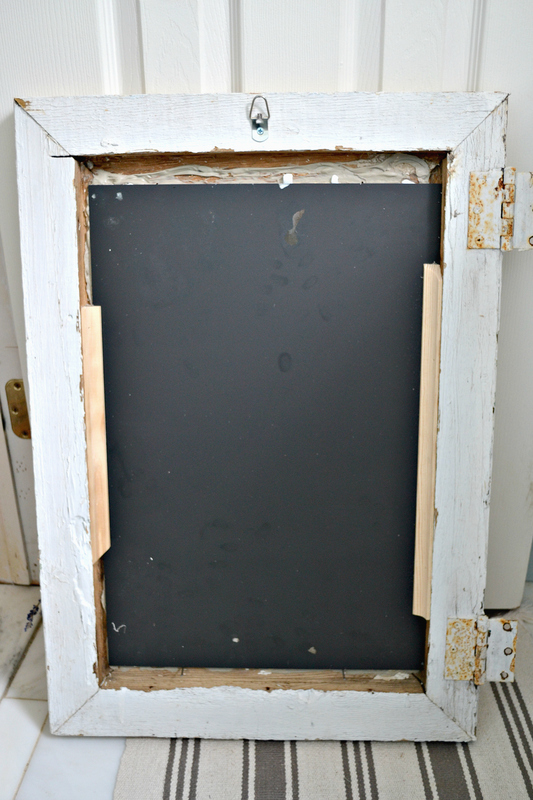 Glue the mirror onto the frame. 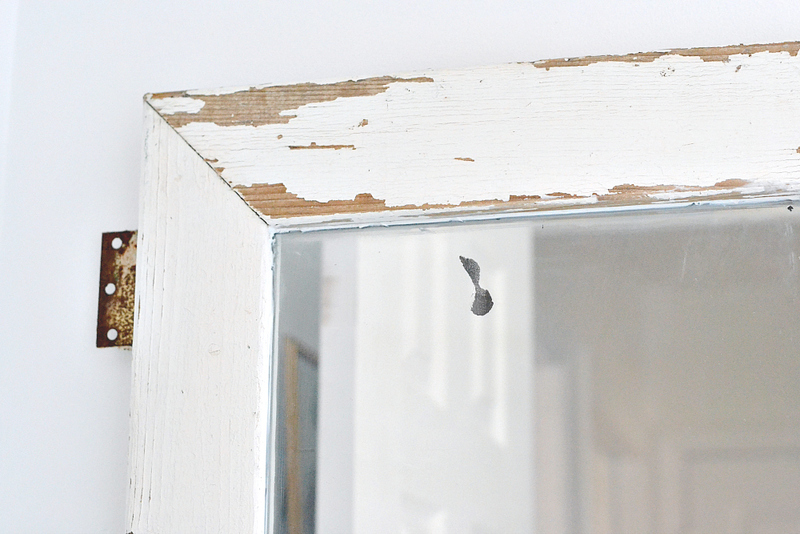 Use the mirror adhesive to glue your mirror to the frame. This is when it got messy for me. I didn’t wait long enough for the paint to dry, so when I pressed down on the back of the mirror, some of the spray paint came off with it. In the end, it didn’t bother me so much because the whole farmhouse mirror frame is distressed, so it just sort of blends in with the style. I added some scrap molding to the back, and hammered in some nails to help keep the mirror in place and prevent it from moving while it dries. This adhesive takes 48 hours to fully cure. Attach hanging hardware. This window didn’t have any hardware so I added a little hook to the back. Click here to buy hanging hardware for your project. 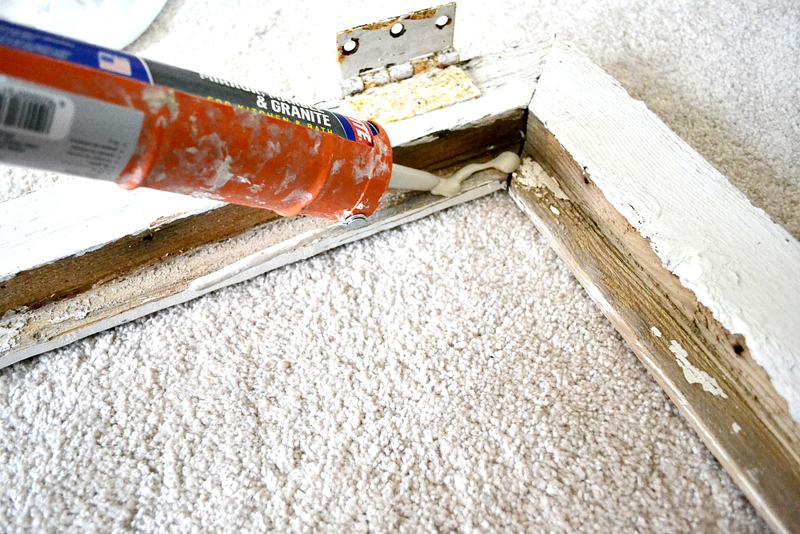 Caulk the seams. I didn’t like that I was able to see the glue through the seams of the window, so I added a bead of caulk around the frame to hide the gaps. And voila! 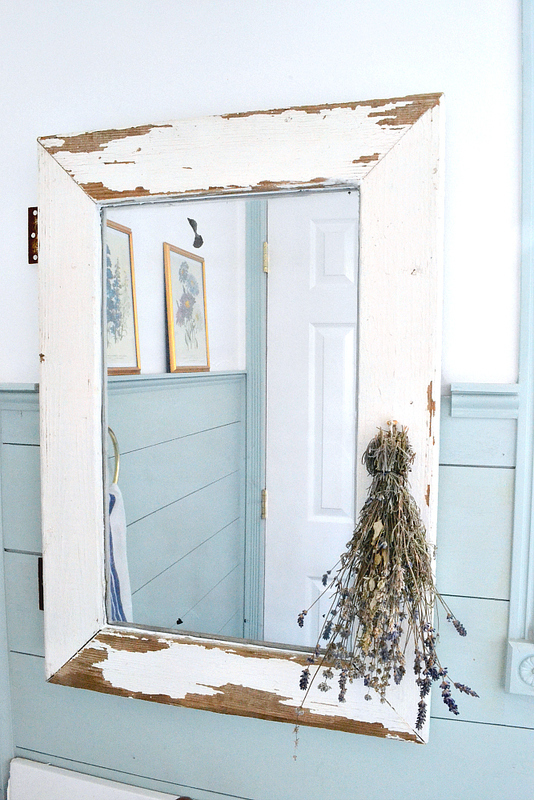 I have a new farmhouse mirror! I added some dried lavender to the little eye hook on the right side. 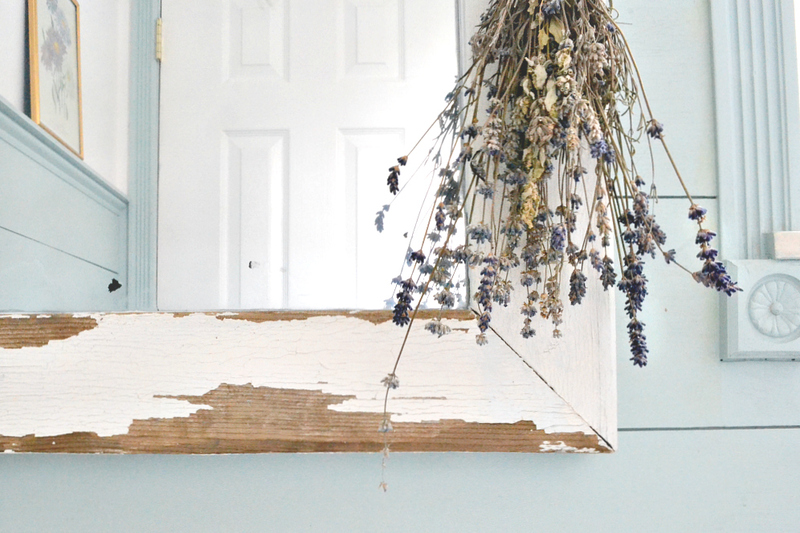 I love seeing dried lavender hanging around my house! My new farmhouse mirror adds so much chain to this space! My honest review of this mirror spray. I think this is a really neat concept, but it isn’t perfect. the mirror is a little muddy, it doesn’t have a perfect reflection, but it’s a lot better than I imagined it would be. And it is good enough to use in a powder room. I am able to clearly see myself, it’s not blurry or anything. I think the reflection is just a little darker than a regular mirror. In hindsight, I may have made my life a little easier by just purchasing a cheap mirror and cutting it to fit, but I wanted to try this spray and I had the perfect opportunity. Like I said before, it also scratches reaaallllllyyy easily. Like, I set it down on my table and scooted it over a few inches and I had HUGE scratches that I had to go back and respray. With all of that being said, I probably would use it again. Love this! I did this too with a tall decorative window in my powder room. Definitely not a super clear reflection but it still is functional! I love the chippy look and you are very talented. LOVE the mirror! Looks like it was quite a project.I always wanted something like this rather than the builder grade I do have. Visiting from Repurposing Junkie Linky. Pinned. I give this rave reviews! Great tutorial with a lovely result. awesome project! I love how it turned out! I want to try this!! I had no idea an spray could turn any glass into a mirror, you opened a new world full of possibilities!! 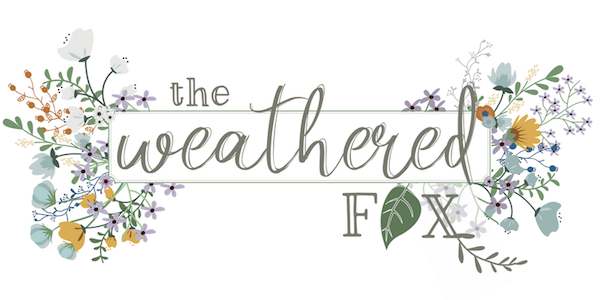 Thanks for linking up with us at Sweet Inspiration and inspire us! This mirror is so so beautiful! I want to make one right now, it really looks lovely in your bathroom, like everything else! Love the light look! Absolutely love this!! I use the mirror effect often & love the results! Nicely done.. I love this, and your photos are so pretty! 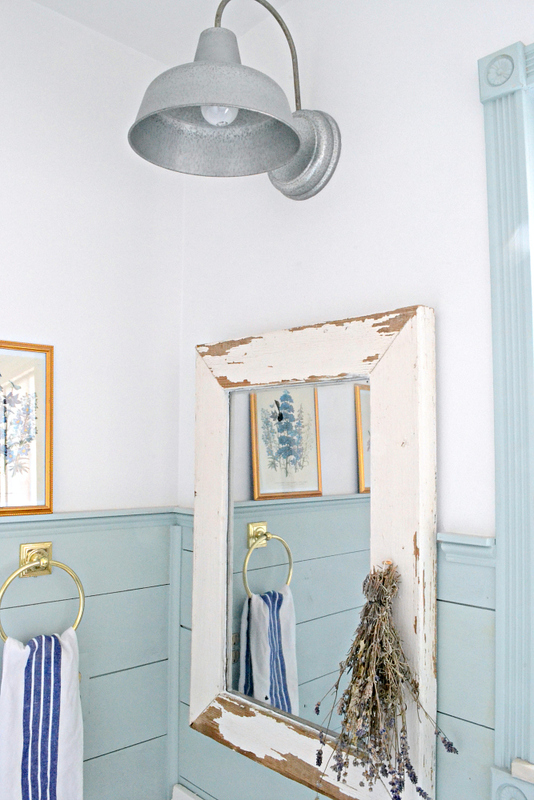 Love the distressed look of your mirror. I always like it when things of old can have a new life. Your mirror looks great! I love the farmhose style. I would love to do something like thus is our masterbath when we get around to finishing our makeover. Right now we have the huge mirrors that take over the whole wall behind the vanity. Thanks for sharing your tutorial, i need to get some mirror paint and play around with it. I’m afraid I’m not the best spray painter. Love how it came out very pretty, i just shared it on my Facebook. Love it! The mirror is perfect for your bathroom. Love the distressed frame. I’ll have to give that mirror spray a try. Have a great day! !